We know that blood is an essential and required substance for our body but do you know that our blood also has several components , that is it is made up of 3 different cells , namely RBC(Red Blood Cells), WBC(White Blood Cells) and Platelets. Every cell has different task assigned to it and each one is always busy in performing that task. Platelets are an important part of our blood which is helpful to prevent excessive bleeding during an injury and helps in the clotting process. It is said that a person must always maintain the platelet count of 150,000 to 450,000 per one-millionth of a litre. How do Platelets work ? The platelets keep on running in the blood and tries to figure out the damaged blood vessel and as soon as a blood vessel is damaged , it notifies the platelets about is damage and the platelets runs immediately to the damaged area and grows in size and takes the shape of a web and tries to clot the area. What if someone has low platelet count ? Whenever there is a deficiency of platelets in blood or the platelet count is below the level , the condition is referred to as thrombocytopenia . Sometimes some people don’t observe its symptoms but some experiences them. 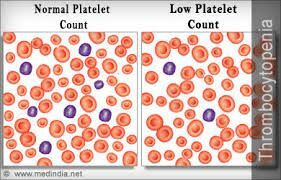 The platelet count can be checked by going for a blood test and depending on the test report , the doctor will suggest its medication . If there is an extremely low platelet count then he would preferably suggest for blood transfusion. 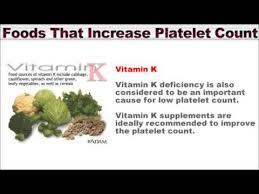 Low Platelets can be result of many factors, it may be because of the inability of bone marrow to form the required platelets or may be the body is destroying the platelets very rapidly before the completion of the platelet’s 10 day life span. Avoiding tasks which prone the body more towards getting injured and bleeding. Avoiding the use of alcohols and drugs. Avoiding the intake of blood thinner, Aspirin . Is Platelets donation safe ? Yes, platelets or blood donation is completely safe as the needles or syringes used are sterilized and is discarded after use. 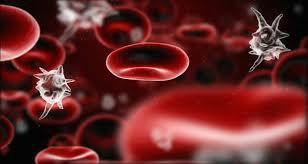 Any one who is physically fit and is not suffering from any disease can denote blood or platelets . You may feel little weakness or feeling like fainting , but its absolutely normal . You must take rest for about 2 hours after platelets denotion and must drink lots of liquid to regain energy and the platelets will be recovered within 2 days . One must not start performing heavy activities like pushing heavy weight and all immediately after blood donation but you can resume back to your normal daily life activities after a day . Have you ever suffered from Dengue ? God please don’t ever let anyone face this serious disease. It sounds too common and little serious among people when they talk about dengue. But friends the person who had actually face this disease will tell you how serious it is. I myself have seen my sister suffering from Dengue and that too in a worse condition. Every day two bottles of glucose and platelets were injected into her body and still her condition was not getting better. And because of this serious disease her platelet count had gone so down that it looked to us that she’s on her deathbed. On remembering those days, my hairs stand and my heart start to throb faster than its actual rate. So this article is basically based on dengue and what we can do to increase platelets count naturally. Dengue is a disease which is known to be spread by a mosquito-borne virus commonly known as “Dengue Virus.” It results into loss of blood platelets which is medically termed as “Thrombocytopenia” . Platelets are colorless blood cells that act as a protective shield for blood cells and helps in blood clotting. Dengue fever spread from person to person by the bite of mosquitoes which are carrying the Dengue virus. Have two tbsp of it after about 6hrs in a day. These are some best remedies to increase the platelet count in fewer days. Alternative Medicine, General Health, Health and Fitness, Health Tips. permalink.